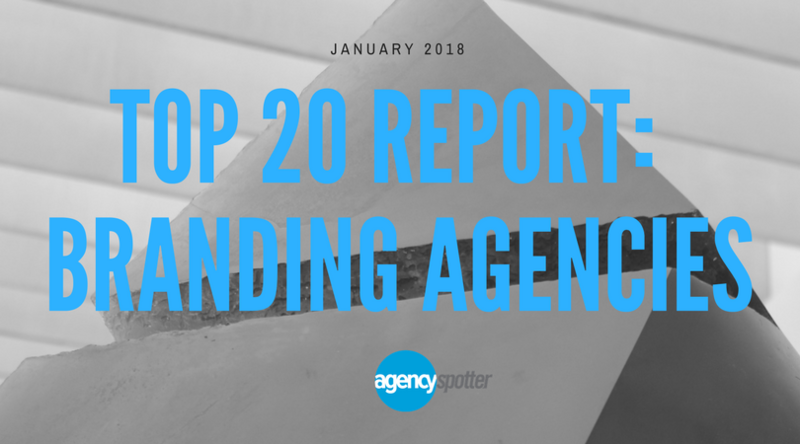 ATLANTA, January 23, 2018	(Newswire.com) - Agency Spotter publishes the Top 20 Branding Agencies Quarterly Report that ranks more than 2,000 branding agencies based on their competitive portfolio, agency work and client reviews. Competition was fierce this quarter with lots of movement. In the new edition of the Top Branding Agencies Report, 17 agencies made the report for the first time with 7 new agencies cracking the top 10 spots. The UK-based branding agency Taxi Studio hit number one, while the previous winner, San Diego’s BASIC fell to number 9. They cover ground. Though relatively small, these agencies work with clients big, small, and industrially diverse such as Adidas, Apple, Coca-Cola, Cadbury, Bojangles', the Catholic Diocese of Brooklyn, Harvard University, POLO by Ralph Lauren, the History Channel, The Economist, Starbucks, and more. Come from 19 cities, 14 U.S. states, and 3 countries (the U.S., the U.K., and Hungary) metro areas, including Atlanta, Chicago, Pittsburgh, Los Angeles, New York, Venice, Budapest (HU), and Bristol (U.K.). The agencies were selected based on Agency Spotter's proprietary research methodology, which uses their website's extensive data along with qualitative and quantitative insights to evaluate many factors including each company's qualifications, experience level, positioning, and client feedback.